Hercules harnesses are made tough. Anatomic shoulder harness matches perfectly with the Hercules Evo or Action Sit harnesses. 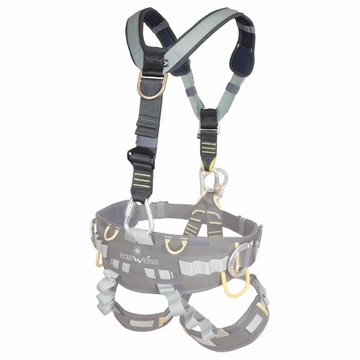 Converting your sit harness into a full body harness with EN361 front and rear steel attachment points. Hardware not included with product. Use with 10mm Delta Quicklink, Maillon Rapide or Kong item 435296 and any locking oval carabiner. Triple lock carabiner preferred. Action Shoulder Harness is black to match Action Sit harness.